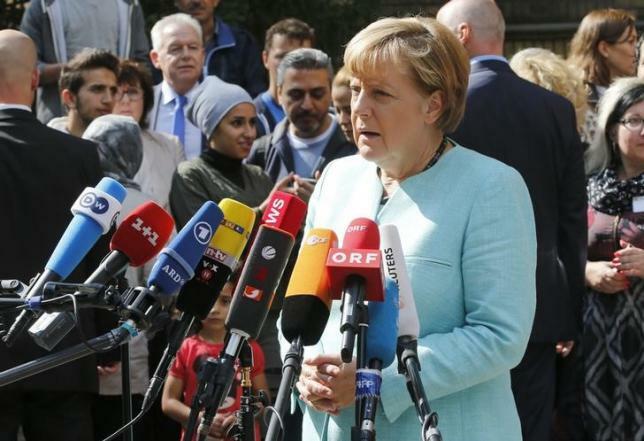 Germany and other Western European powers need to work with Russia as well as the United States to solve the crisis in Syria, German Chancellor Angela Merkel said on Saturday (12 September). Foreign Minister Frank-Walter Steinmeier met with his Russian, French and Ukrainian counterparts in Berlin on Saturday evening and said afterwards he saw growing support for creating an international contact group to solve the Syrian conflict. Earlier, a delegation source said Steinmeier and Russian Foreign Minister Sergei Lavrov had a lengthy exchange about Syria on the sidelines of the meeting, with both agreeing to support the UN Syria envoy, Staffan de Mistura’s plan to create a Syrian contact group. De Mistura has invited warring parties to take part in UN-led working groups to address matters including political and constitutional issues, and military and security issues. Russia had called on Friday for cooperation with the United States to avoid “unintended incidents”, as it stages naval exercises off the coast of Syria, where US officials believe Moscow is building up forces to protect long-term ally President Bashar al-Assad. Syrian state media said on Saturday that two Russian planes carrying 80 tonnes of humanitarian aid arrived in Syria. Russia said on Friday (11 September) that it had been sending military equipment to help the Syrian government fight Islamic State. Separately in a guest article for the New York Times, Steinmeier said the nuclear deal struck between Iran and six world powers had created an opportunity to tackle Syria’s troubles, but he was concerned that the chance to make progress was fading. US President Barack Obama said on Friday that Russia’s escalated military involvement in Syria indicates Assad is worried and turning to Russian advisers for help. EU diplomats are concerned that Russian military support for Assad would counter any incentives to consider a political solution in the civil war.